What should you do whilst waiting for an ambulance? If you are first on the scene and find someone who has collapsed or had an accident, what you do in those first minutes is critical. 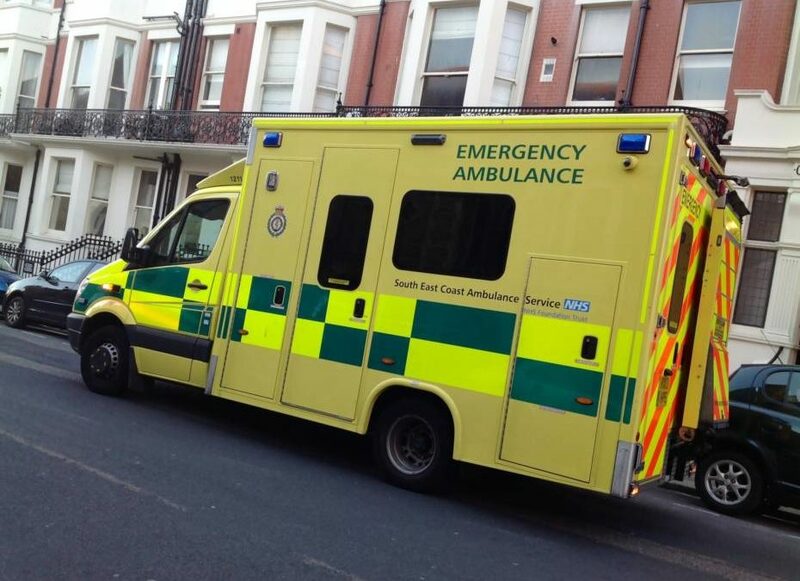 Most ambulances aim to get to a life-threatening emergency within eight minutes. However, a lot can happen in 8 minutes and the first aid you give whilst waiting for the ambulance could mean the difference between life and death. Here we outline the vital first aid response that could help keep someone alive until the ambulance arrives. Take a deep breath to clear your head. Don’t rush in, keep yourself and the casualty calm and get an overview of the situation. See if you can identify what the most serious problem is. The most obvious problem isn’t always the most serious. Check for response. Speak to them and gently shake them to see if they’re conscious. Open the airway and check for breathing. 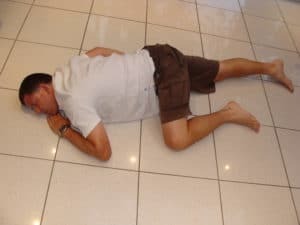 If a person is unconscious and breathing and has no other life-threatening conditions – place in the recovery position to protect their airway. If a person is unconscious and NOT breathing normally – start CPR. Phone an ambulance, put on speakerphone if you are on your own, and start CPR without delay. 30 chest compressions followed by 2 breaths and repeated. For a baby or child start with 5 breaths. If the person is conscious, control any bleeding with direct pressure and perform any other essential life-saving first aid as quickly as possible to stabilise their condition. Help the casualty to administer any medication if appropriate, for example GTN spray, asthma pump, Epipen etc. prior to calling an ambulance. Keep them warm and dry. Stay calm and be as reassuring as possible. If the casualty is struggling to breathe, the best position for them to be in is sitting down in an upright position. Try and establish why they are having difficulty and if they have any medication to help – are they asthmatic? Could they be having an acute allergic reaction? If so help them administer their medication straight away. If their condition doesn’t improve, phone the ambulance service again and tell them what is happening. If they are showing signs of a heart attack sit them down in an upright position, preferably a lazy W. Encourage them to take their GTN spray if they have one. If they do not feel better and have been prescribed a 300mg Aspirin they should chew this. Phone the emergency services and stress that it is urgent. If they become unconscious and stop breathing, start CPR and if possible, get someone to bring the defibrillator quickly. Get someone to update the ambulance service that your casualty has deteriorated and is now an even higher priority. If someone is showing signs of a stroke, they need to get to a stroke unit as quickly as possible. If the ambulance is delayed and you feel safe transporting them, take them there yourself. It is of critical importance that they are swiftly assessed as if they have a blood clot and are treated quickly enough (within a few hours) it is possible to reverse the damage. Continue to reassure the casualty and keep them warm and dry. If they are conscious and you are concerned that they may have damaged their spine, get them to stay still and explain how important it is that they avoid twisting their back or neck. You can help them to remain still by lying behind their head, supporting the head and neck with your hands in the neutral position. If they are unconscious and breathing, (even if you are worried about their spine), if you are concerned about their airway, you should try and get help to very carefully log roll them into the recovery position, protecting their neck and back to avoid twisting. To read our article on what happens when you dial 999, from making the call to the emergency response arriving at the scene, click here.